The Johns Hopkins medical facilities are the second largest employer in Maryland with over 20,000 employees (the University employs another 27,000 people). The Hopkins has 1,051 beds and over 1,710 full-time physicians on staff. It handles over 114,000 patient admissions every year. It brings in an astounding $7.7 billion a year in revenues. It is not hyperbole to say that this hospital is responsible for shaping a great deal of modern medicine. If you are a Maryland resident, you should consider yourself lucky to have access to this unbelievable institution. Calling Hopkins a big and great hospital is like saying LeBron James is good at basketball. This is a great hospital. No one disagrees with this. You don't win these cases by arguing this hospital is a cesspool of malpractice. You win cases against Hopkins by telling the jury that, of course, it is a great institution, but, like all medical institutions, it makes mistakes, and one was made in this particular case. We've heard some plaintiffs' lawyers suggest that there are two Johns Hopkins: one for the world and one for the residents of the City of Baltimore. No matter how you look at it, while this is an excellent health care provider with great doctors, it is a big facility, and dangerous mistakes happen there that should not occur. So if you sue one of these hospitals, you are essentially suing Johns Hopkins. 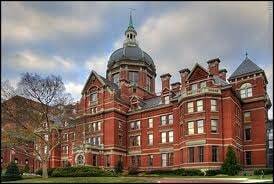 Two of the main Johns Hopkins hospitals are located in Baltimore City, so many malpractice cases are filed there. Baltimore City (and its jurors) have a well-deserved reputation among plaintiffs' lawyers. Other Hopkins entities exist in other counties and states, however, so it is not uncommon to see lawsuits filed in Montgomery County and Washington, D.C.
Johns Hopkins was subject to a $55 million Baltimore City jury verdict in June 2012 (Maryland law automatically reduces the verdict to about $29.6 million). The plaintiffs alleged and successfully proved that Johns Hopkins failed to perform a timely cesarean section and that the child was deprived of oxygen and suffered brain damage and developmental delays. Here in Maryland, Johns Hopkins Hospital malpractice claims are often defended in medical malpractice lawsuits by attorneys Goodell, DeVries, Leech & Dann (Donald DeVries). This law firm is among the best medical malpractice defense firms in the state. There are some other law firms that have also represented Johns Hopkins in 2015-2018 in medical negligence claims, including Warnach & Brown, Chason, Rosner, Leary & Marshall, Pessin Katz Law, and Morgan, Carlo, Downs & Everton. Certainly, Hopkins' lawyers are very competent to handle these cases and are going to fight - as we are - at every turn. Hopkins used to have a reputation among medical malpractice lawyers that it was one of the few hospitals willing to own up to its own mistakes before a lawsuit if filed. That reputation has diminished in recent years as this hospital appears to be taking a harder line on malpractice cases. Below are recently filed lawsuits against this hospital and the plaintiff's allegations in the lawsuit. We have not finished compiling all of the malpractice cases filed in Maryland in 2017. In fact, we skipped over the last half of last year and started again in 2018. But, as you can see, Hopkins faced more than its fair share of new lawsuits in recent years. 2018: Burgamy v. Johns Hopkins Bayview Medical Center - abdominal aortic aneurysm misdiagnosis and failure to treat claim. 2018: Cole v. Johns Hopkins Hospital - failure to order brain lesion biopsy to diagnose a brain tumor and immunodeficiency disease. 2017: Cerato v. Johns Hopkins Hospital - a surgical error that leads to partial removal of the patient's kidney. We publish these to show the types of claims that are being brought against this hospital. But there is another reason, too. Many people assume that because Hopkins is such a world-class hospital, it must be that they are confused, and there couldn't have been a mistake. But great hospitals make awful errors. Hopkins is no exception. If you were injured at any of the Johns Hopkins-affiliated hospitals, contact our medical malpractice lawyers at 1.800.553.8082, or send us a free internet request for consultation. We have worked with medical experts in every specialty, and we can help you determine whether you qualify for a lawsuit.